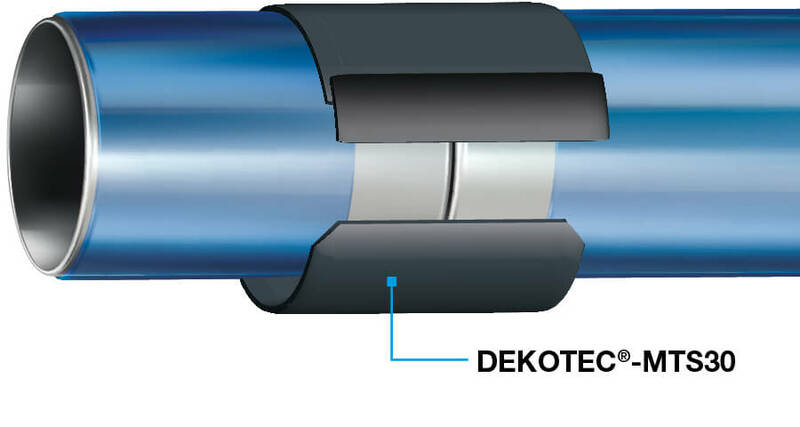 DEKOTEC®-MTS (Mastic) shrink sleeves are applied as a 2-layer system directly to the steel pipe surface, without the need for a time-consuming preheating process. 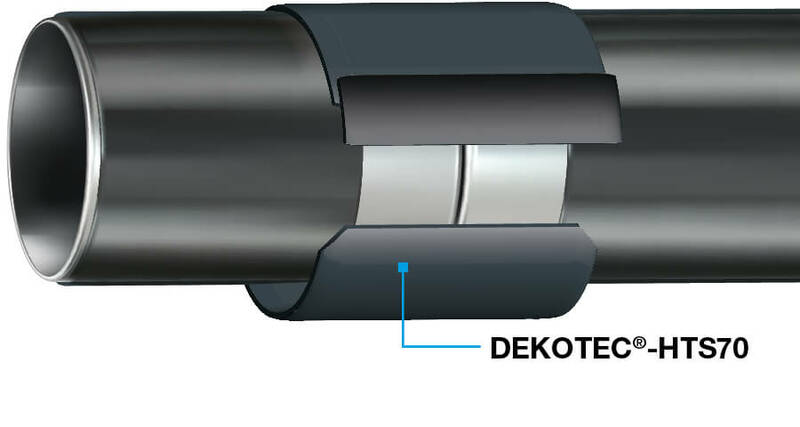 The durable DEKOTEC®-HTS (Hotmelt) sleeves for high-temperature applications are applied as either a 2-layer or 3-layer system (including primer). 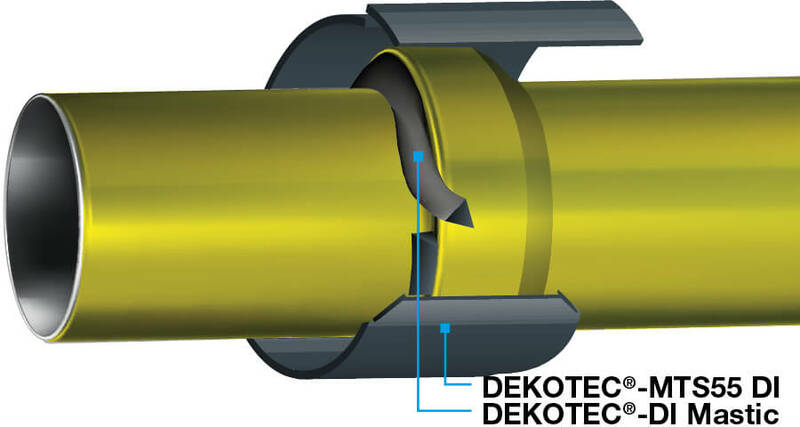 Hotmelt sleeve for high-load conditions for protecting welded seams on steel pipes against corrosion. Hotmelt sleeve with high temperature resistance for protecting welded seams on steel pipes against corrosion. Cost-effective mastic sleeve solution for protecting welded seams on steel pipes against corrosion. 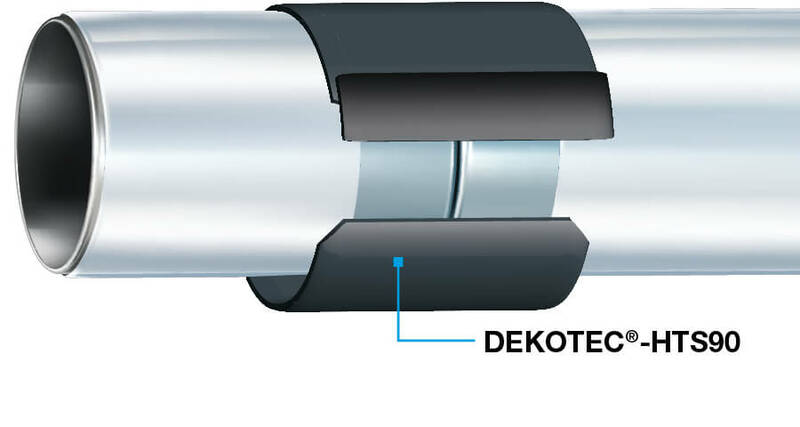 All-round mastic sleeve solution for protecting welded seams on steel pipes against corrosion. 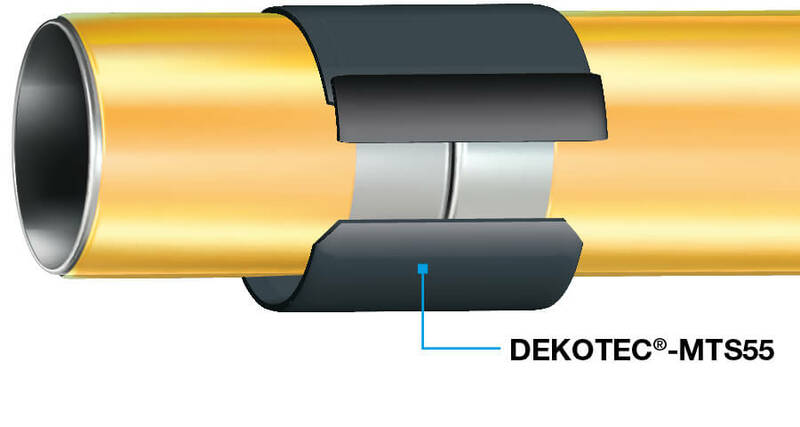 Mastic sleeve for protecting spigot-and-socket pipes against corrosion and root penetration.